The musical/rock opera Jesus Christ Superstar was created by lyricist Tim Rice and music composer Andrew Lloyd Webber in the year 1969. It is a story about last days of Jesus Christ from his arrival to Jerusalem till his crucifixion. Being not sure about the reaction of believers and Church the producers produced first the album with the songs from the musical. Only after that the Musical premiered in London´s West End and later on Broadway. Four years later Norman Jewison made a film version of the stage musical. Newer version directed in 2000 Nick Morris. 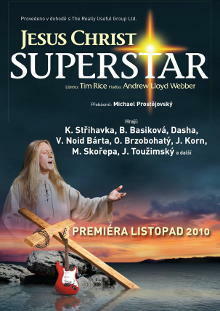 Jesus Christ Superstar first premiered in Prague July 24, 1994 at the Spirala theatre in Prague. Five days long casting took place at the Karlin Musical Theatre at the end of March a beginning of April 2010 and the creative team screened almost 600 contestants. Final selection took place in May at the presence of the American Director Gabriel Barre. 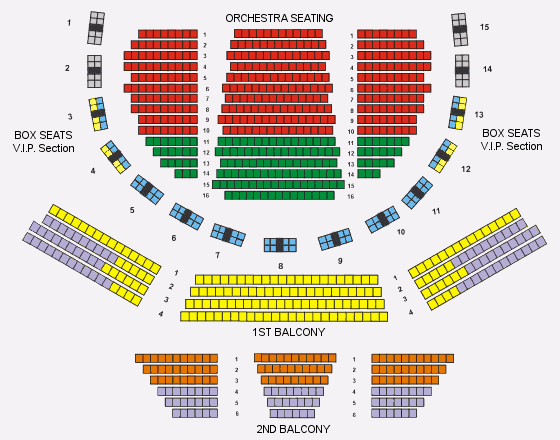 Some rehearsal will take place already in June and the full rehearsing process will start July 12, 2010. The opening night has been planned for November 11, 2010. The surtitling equipment for translation to English is installed.